The University of Michigan (also known as U of M, or U-Mich) is one of the most frequently searched colleges in America, according to a recent internet keyword search of American universities. U-Mich is a public research university, and is Michigan's oldest university. The school was founded in Detroit in 1817, twenty years before the state of Michigan itself was founded. The university moved to Ann Arbor in 1837, where it still stands today. The school maintains a current enrollment of roughly 45,000 students each year, with approximately two thirds of them studying at the undergraduate level. U of M has more than half a million living graduates. The acceptance rate at U-Mich is about 29 percent. 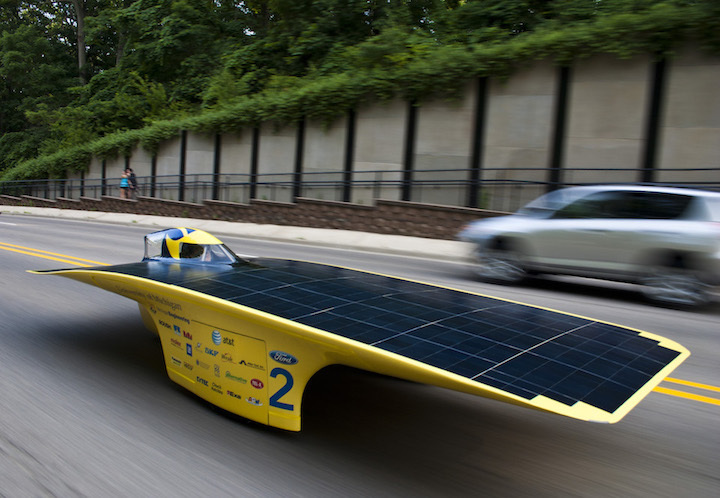 The University of Michigan remains on the cutting edge of energy engineering and automotive technology, with teams that build award winning solar powered cars. U of M usually ranks among the top 30 universities in America. Some of the most famous graduates of U-Mich include bookstore chain founders Louis and Tom Borders, Brady Bunch star Ann B. Davis, comedian David Allan Grier, actor James Earl Jones, and comedian Gilda Radner, as well as many professional athletes, dozens of CEOs, at least eight astronauts, and no less than two dozen Nobel prize winners, to name only a few. 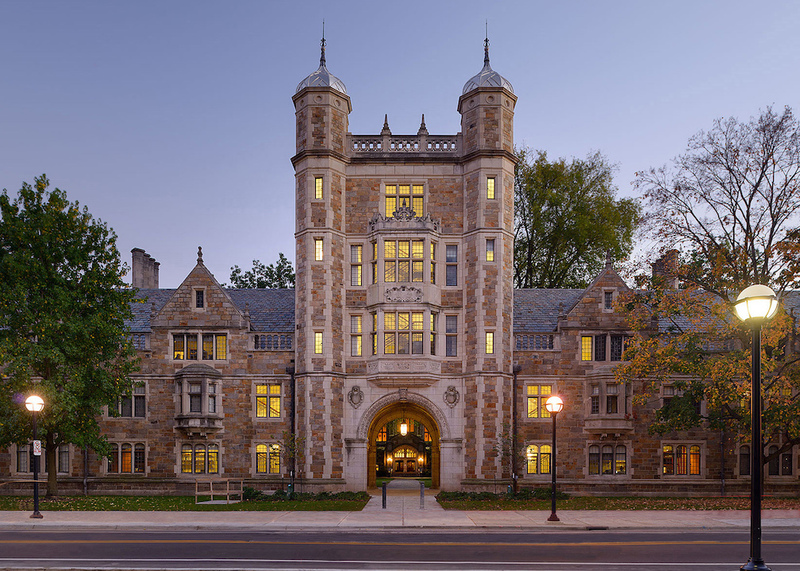 The University of Michigan is accredited by the Higher Learning Commission (HLC), and approved by the Council for Higher Education Accreditation (CHEA). Shown above: The "Quantum Solar Racer," created by the Solar Car Team at U-Mich. Here are the answers to some of the most frequently asked questions about the University of Michigan. 1. Where is the University of Michigan? 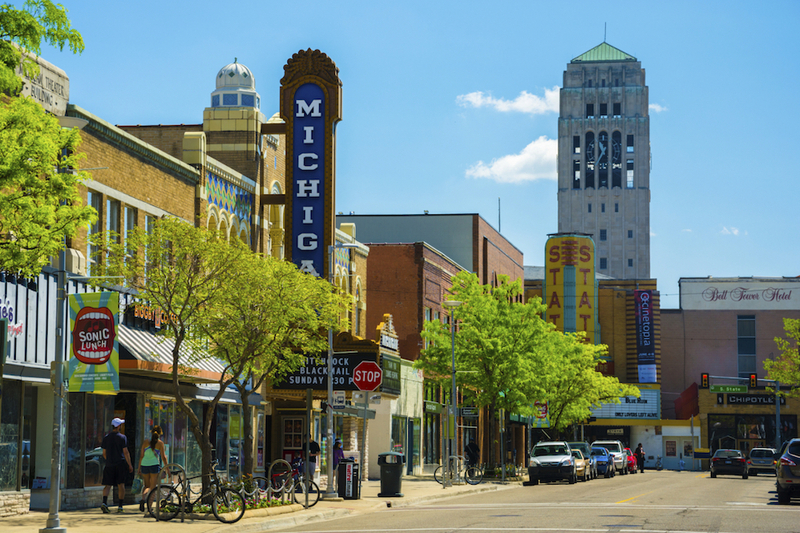 The main campus of U-Mich is located in the city of Ann Arbor, with additional locations in Dearborn, Detroit, and Flint. The Detroit location of U-Mich serves staff and faculty members. 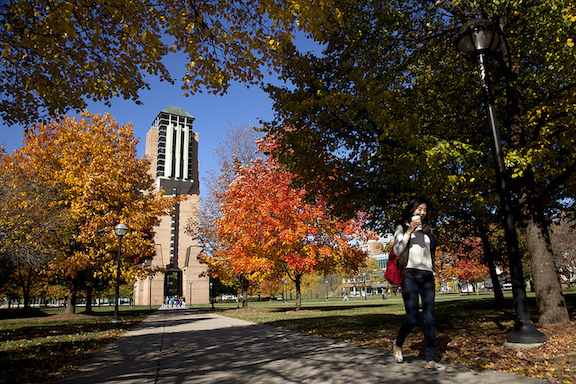 Shown above: Early fall on the Michigan campus. 2. What is the organizational structure of the University of Michigan? 3. What undergraduate majors are offered at the University of Michigan? 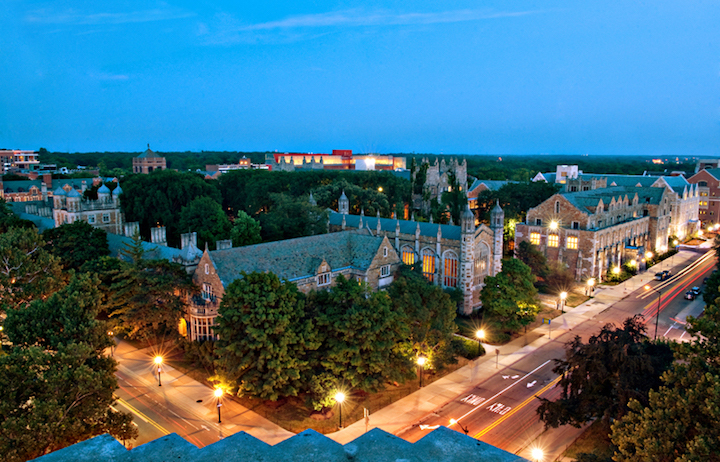 Shown above: The Ann Arbor campus of U-Mich.
4. What graduate programs are available at the University of Michigan? U-Mich features numerous graduate programs, at both the Masters and the Doctoral levels. Go here for a list of the Doctoral (PhD) programs at the University of Michigan. 5. 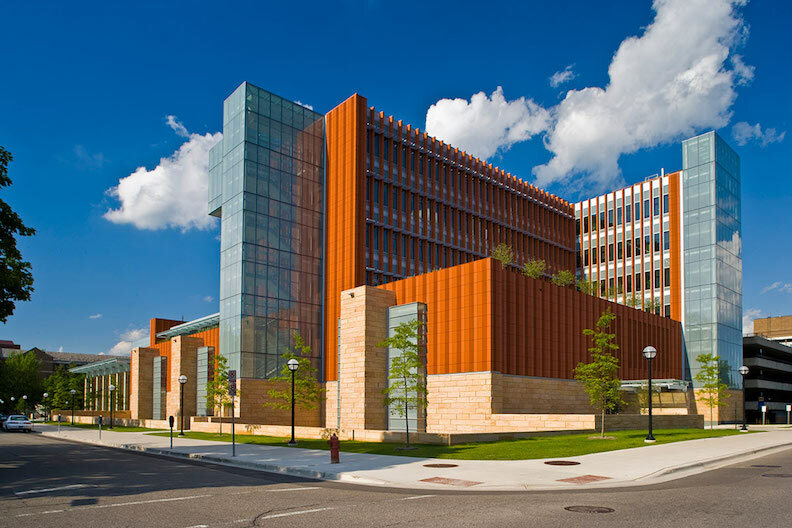 What programs are available at the University of Michigan School of Law? 6. 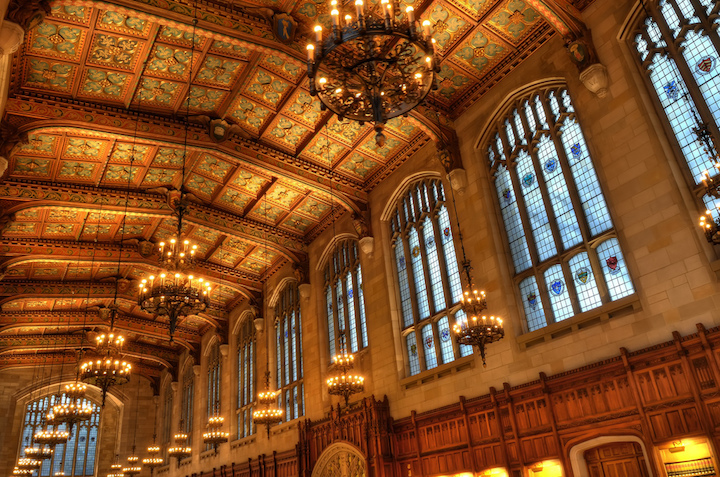 How much does it cost to attend the University of Michigan? Additional fees may also apply. These may include application fees, registration fees, student services fees, health fees, technology fees, and insurance fees, among others. Students who apply to the University of Michigan may be eligible to receive financial aid, as long as they successfully complete the FAFSA form. Graduate financial aid may also be available at U-Mich.
7. What is the University of Michigan campus like? The main campus of U-Mich in Ann Arbor spans 3,177 acres, and contains nearly 600 buildings. The campus is divided into four areas, known as North campus, Central campus, South campus, and Medical campus. The Huron River runs through the property, separating the North campus from the rest. The crowning landmark of the Ann Arbor campus is the majestic Burton Tower, which lights up in various colors for different occasions. The tower is powered by more than 100 energy-efficient LED bulbs, programmed to light up in different colors on command. Tower lighting ceremonies are frequent. Student housing is available, both on and off campus, as are parking and public transportation services. The athletic teams at U-Mich are called the Wolverines. They play for Division I of the the NCAA, and are members of the Big 10 Conference. The team colors are maize and blue. Non athletic campus activities include numerous student interest groups, such as cultural associations, service organizations, musical groups, theater groups, campus publications, a TV station, and a radio station, to name just a few of the available activities on the U of M campus. 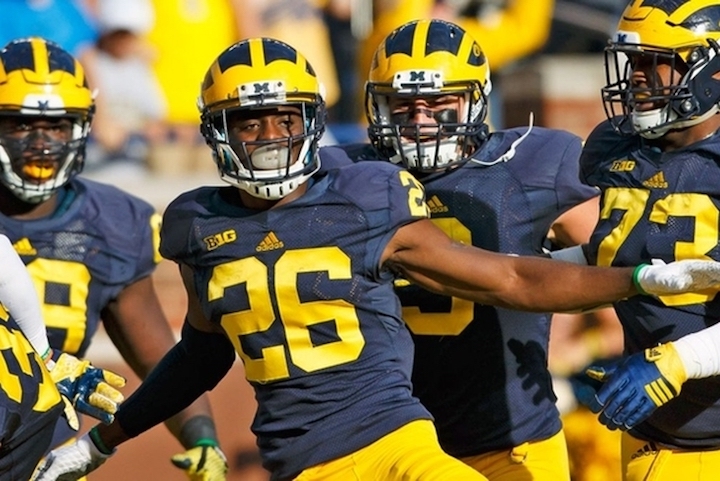 Above: The badass UM Wolverines. 8. What are the distance learning opportunities at the University of Michigan? U-Mich offers a broad assortment of distance learning degree options, as well as individual courses that can be completed fully online. 9. What is the contact information for the University of Michigan? You can reach the main campus of U-Mich at Ann Arbor by calling 734-764-1817. To reach the U-Mich campus in Flint, call 810-762-3300. To contact the U-Mich Dearborn campus, call 313-593-5000. To reach the Michigan School of Law, call 734-764-1358. To speak with someone at the office of Financial Aid, call 734-763-6600.